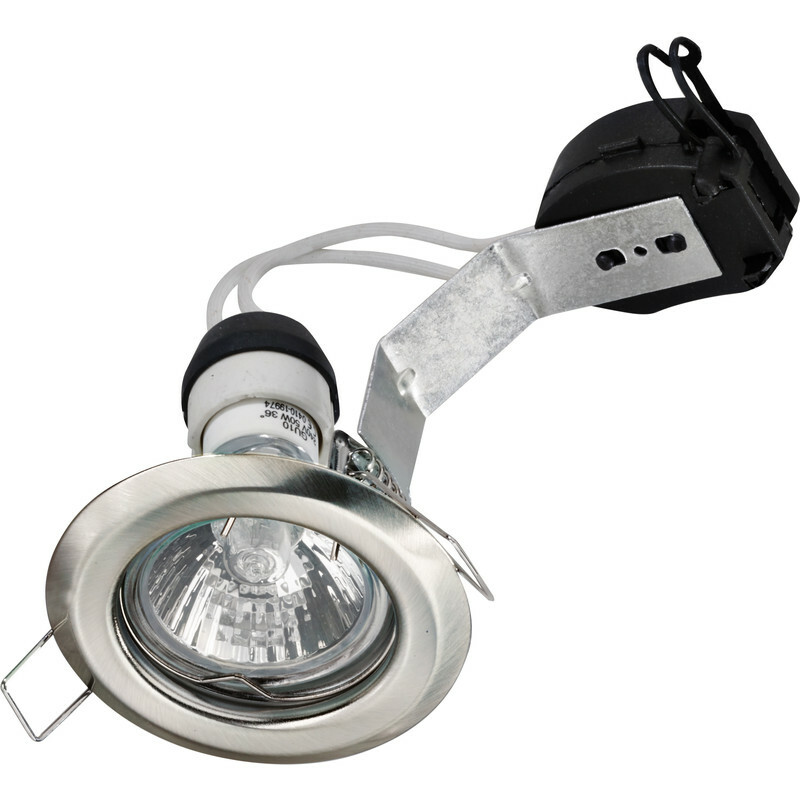 Kit contains 10 x down lights 10x 50W 240V 2000 hour 36° halogen lamps. Diameter 80mm. Recess depth 105mm. Cut out 65mm. This luminaire is compatible with bulbs of the energy classes A++ to E and is sold with a bulb of the energy class E.
GU10 Pressed Contractor Dimmable Downlight Kit Satin Nickel (10 Pack) is rated 4.4 out of 5 by 15. Rated 5 out of 5 by Spaky d from Easy to fit Handy big 10 pack cheeper buying a box of 10 than separate units result.. Rated 5 out of 5 by ventnorrock from Nicely made and finished Would be a g.Great value fitting even without a bulb. Rated 2 out of 5 by Pete9000 from You get what you pay for Fell apart while installing, had to tape it all together but they work fine. Rated 5 out of 5 by Robbbbbbbbbbbbbbbbbbbbbbb from Very good [GU10 size] downlighter pack The downlighters and GU10 fittings are good quality and easy to fit [on some brands the GU10 fitting is difficult to fit on the spring of the downlighter - these were OK]. Pack also includes halogen 50w GU10s - didn't want/need them [using LEDs] but pack was still cheaper than another 'brand'/shop.